Coleoptera is the latin name for beetle, meaning sheathed wing. 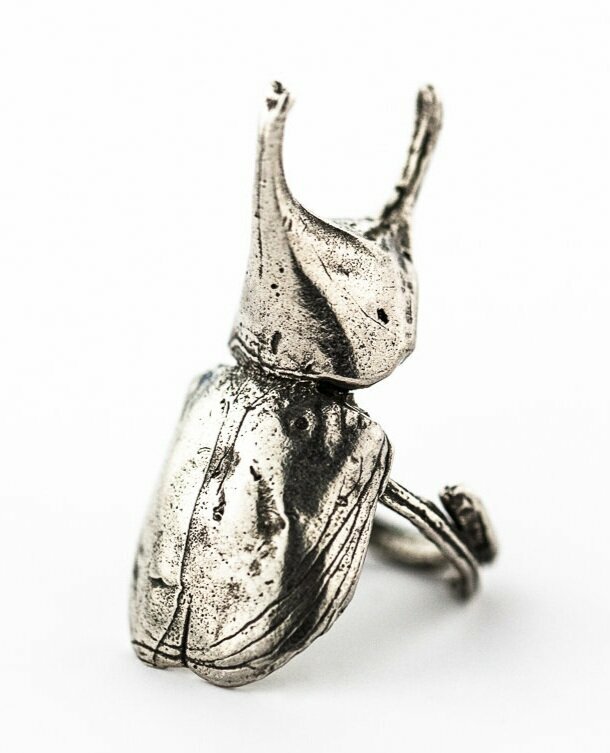 Exclusively created for an exhibition at La Specola, the Natural History Museum of Florence, the Coleoptera Collection honors the Scarab. An ancient Egyptian emblem of transformation and symbol of the sun's vital energy, the Scarab is a powerful talisman that wards off evil and brings strength and positive forces to the individual it adorns. 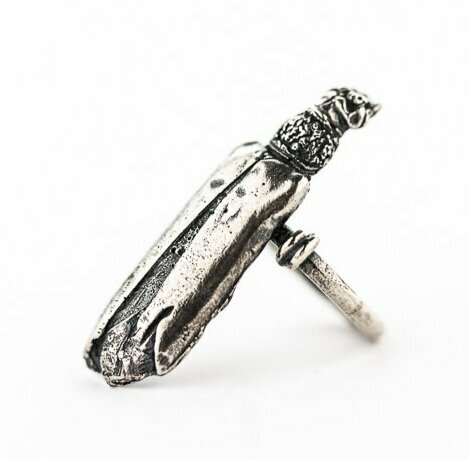 The scarab portrays the relationship between life, death, transformation and renewal. These beetles are wearable artifacts cast from actual beetle exoskeletons and titled with it’s appropriate scientific name.